Social groups which are led by skilled therapists, facilitate a safe environment to practice and teach the appropriate skills needed for interaction with peers of the same age. 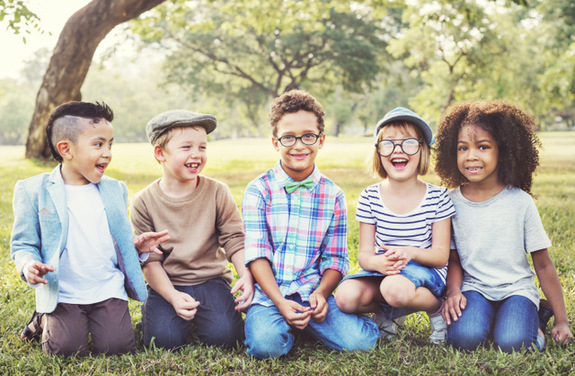 Depending on the age group, therapists can address the skills needed for interaction such as greetings, maintaining a conversation, appropriate body language and personal space, problem-solving, and controlling emotions. Therapists can provide a safe space for kids to role-play and practice new social skills while receiving positive feedback. Your child often ignores or avoids other children in public places. Your child demonstrates difficulty initiating or maintaining a conversation. Your child feels afraid to attend social gatherings such as birthday parties. Your child lacks opportunities to interact with peers of the same age. Your child uses physical actions instead of words to communicate to others. At Lumiere Children’s Therapy, we offer social-skills groups led by skilled therapists to help children gain the skills and confidence to interact successfully with peers and the community. The clubs are designed for children 2–11 to practice and master age-appropriate social skills. Our clubs focus on developing the appropriate play, conversational, collaboration and success in school. For more information or to register, please call 312-242-1665.